San Francisco had its gold rush, Oklahoma had its land rush and now Australia is experiencing a rush of alternative funding. After a slow start a few years ago, foreign and domestic companies have been flocking to the market down under in the last 18 months. Recent entrants to the embryotic Australian market include Spotcap, a Berlin-based company partly funded by Germany’s Rocket Internet; Australia’s Kikka Capital, which gets tech backing from U.S.-based Kabbage; America’s Ondeck, which is working with MYOB, a software company; Moula, which began offering funding this year but considers itself ahead of the curve because it formed two years ago; and PayPal, the giant American payments company. The new entrants are joining ‘pioneers’ that have been around a few years, like Prospa, which has been working for three years with New York-based Strategic Funding Source, and Capify (formerly AUSvance until it was consolidated into the international brand Capify), which came to market in 2008 with merchant cash advances and started offering small-business loans in 2012. But many players view the influx as a good sign. “I think it’s an endorsement of the market,” Bertoli said. “There’s more publicity and more credibility for what we’re doing here in terms of alternative finance.” It’s like the merchant who gets more business when a competing store opens across the street. Besides, the market remains far from crowded. “I’m not concerned about the arrival of OnDeck and Kabbage because it really does validate our model,” maintained Aris Allegos, who serves as Moula CEO and cofounded the company with Andrew Watt. Others see nothing but potential in Australia. “This is a market that will evolve over time, and we think the opportunity is enormous,” said Lachlan Heussler, managing director of Spotcap Australia. 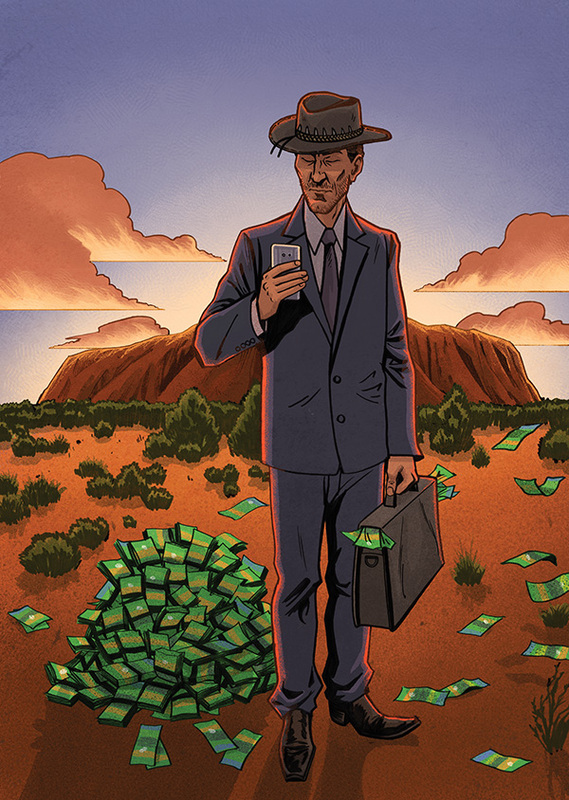 Some view the Australian rush to alternative finance not so much as a solitary phenomenon but instead as part of a worldwide explosion of interest in the segment, driven by banks’ reluctance to provide loans since the financial crisis, de Bree said. To get the business underway in Australia, alternative funders are alerting small-business owners and the media to the fact that alternative funding is becoming available and teaching them how it works, de Bree said. “Half of our job is educating the market,” noted Heussler. New players are building the track record they need to bring down the cost of funds, according to Allegos. “Our base rate is 2 percent or 3 percent higher than yours,” he said, adding that the cost of funds is more challenging than gearing up the tech side of the business. Although the alternative-lending business started later in Australia than in the United States and lags behind America in in exposure, it’s maturing rapidly, said de Bree. Aussie funders are benefitting from the lessons their counterparts have learned in the U.S., he said. But the exchange of information flows both ways. Kabbage, for example, chose to enter the Australian market with a local partner, Kikka. Kabbage learned from its earlier foray into the United Kingdom that it makes sense to work with colleagues who understand the local regulatory system and culture, said Pete Steger, head of business development for Atlanta-based Kabbage. Such differences mean that risk-assessment platforms that work in the United States or Europe require localization before they can perform effectively in Australia, sources said. Sydney-based Prospa, for example, got its start three years ago and has been working ever since with New York-based Strategic Funding Source to localize the SFS American risk-assessment platform for Australia, said Bertoli, who shares the company CEO title with Greg Moshal. Moula, which has headquarters in Melbourne, sees so many differences among markets that it decided to build its own local platform from scratch, according to Allegos. One key difference between the two markets is that Australia does not have positive credit reporting. “We have nothing that even comes close to a FICO score,” said Allegos. The only credit reporting centers on negative events, he said. Without credit scores from credit bureaus, funders base their assessments of credit worthiness largely on transaction history. “It’s cash-flow analytics,” said Allegos. “It’s no different from the analysis you’re doing in your part of the world, but it becomes more significant” in the absence of positive credit reporting, he said. Australia lacks credit scores at least partly because the country’s four main banks control most of the financial sector and choose not to release credit information, sources said. The banks have warded off attacks from all over the world because the regulatory environment supports them and because their management understands how to communicate with and sell to Australian customers, sources said. The big banks – Commonwealth Bank, Westpac, Australia and New Zealand Banking Group, and National Australia Bank – set their own rules and have kept money tight by requiring secured loans and long waiting periods, Bertoli said. It’s difficult for merchants who don’t fit into a “particular box” to procure funding, he maintained. “It’s almost like an oligarchy,” Allegos said of the banks’ grip on the financial system. Eventually, the banks may form partnerships with alternative lenders, but that day won’t come soon, in Allegos’ estimation. It could be 12 months or more away, he said. Even as the financial system evolves, deep-seated differences will remain between Australia and the U.S. Most Americans and Australians speak English and share many views and values, but the cultures of the two countries differ greatly in ways that affect marketing, Bertoli said. “In your face” advertising that can work well with “loud, confident” Americans can offend the more “laid-back” Australian consumers and business owners, he said. Australians have become tech-savvy and comfortable with online banking, but they guard their privacy and often hesitate to reveal their banking information to a funding company, Allegos said. The entrance of OnDeck and Kabbage should help familiarize potential customers with the practice of sharing data, he predicted. Distribution’s not the same for commercial enterprises in the two countries, Bertoli maintained. Despite having about the same geographic area as America’s 48 contiguous states, Australia has a population of 23 million, compared with America’s 322 million. No matter how many people are involved, changing their habits takes time. Australian merchants prefer fixed-term loans or lines of credits instead of merchant cash advances, Bertoli said. 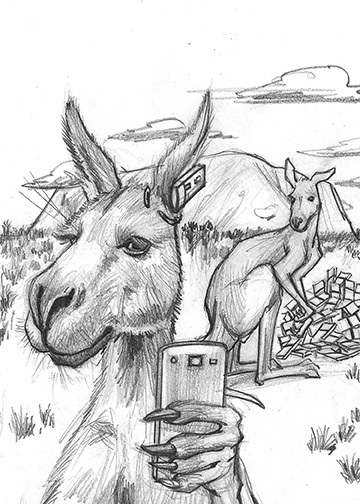 In many cases Australian merchants simply aren’t as familiar as Americans are with advances, Allegos said. Besides, the four big banks in Australia tend to solicit merchants for credit and debit card transactions without the help of the independent sales organizations and sales agents. In the U.S., ISOs and agents play an important role in explaining and promoting advances to merchants, Bertoli said. Advances make sense for merchants because advances adjust to cash flow, and they help funders control risk, but just haven’t caught on in Australia, Bertoli said. 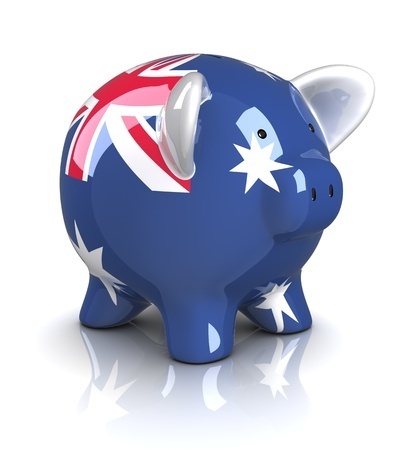 Australians resist advances if too many fees are attached, said Allegos. Pledging a portion of daily card receipts might seem too frequent, too, he said. Besides, advances are limited to merchants who accept debit and credit cards, while any business could conceivably choose to take out a loan, said de Bree. Advances have to compete with inventory factoring, which has become a massive business in Australia, according to Heussler. The business can become intrusive because funders may have to examine balance sheets and talk to customers, he said. Australia’s reluctance to turn to advances, leaves most alternative funders promoting loans and lines of credit. Prospa, for example, uses some brokers to that end but also relies on online connections, direct contact with customers, and referrals from companies that buy and sell with small and medium-sized businesses. “Anyone that touches a small business is a potential partner,” said Heussler, including finance brokers, accountants, lawyers and even credit unions, which have the distribution but not the product. Moula finds that most of its business comes from well-established companies and that loans average just over $27,000 in U.S. currency and they offer loans of up to more than $77,000 U.S. The company offers straight-line, six- to 12-month amortizing loans. Using a model that differs from what’s common in the U.S., Moula charges 1 percent every two weeks, collects payments every two weeks and charges no additional fees, Allegos said. A $10,000 (Australian) loan for six months would accrue $714 (Australian) in interest, he noted. Spotcap Australia offers a three-month unsecured line of credit and doesn’t charge customers for setting it up, Heussler said. If the business owner decided to draw down, it turns into a six-month amortizing business loan for up to $100,000 Australian. Rates vary according to risk, starting at half a percent per month but averaging 1.5% per month. If companies have all of the necessary information at hand, they can complete an application in 10 minutes, Allegos said. Moula has to research some applications offline if the company’s structure deviates too greatly from the usual examples – much the same as in the U.S., he maintained. The latter requires strong customer-service departments, he said. Kikka uses a platform based on the Kabbage model, which gives 95 percent of customers a 100-percent automated experience, Steger said. “It goes to show the power of our automation, our algorithms and our platform,” he maintained. Spotcap prefers to deal with businesses that have been operating for at least six months, Heusler said. 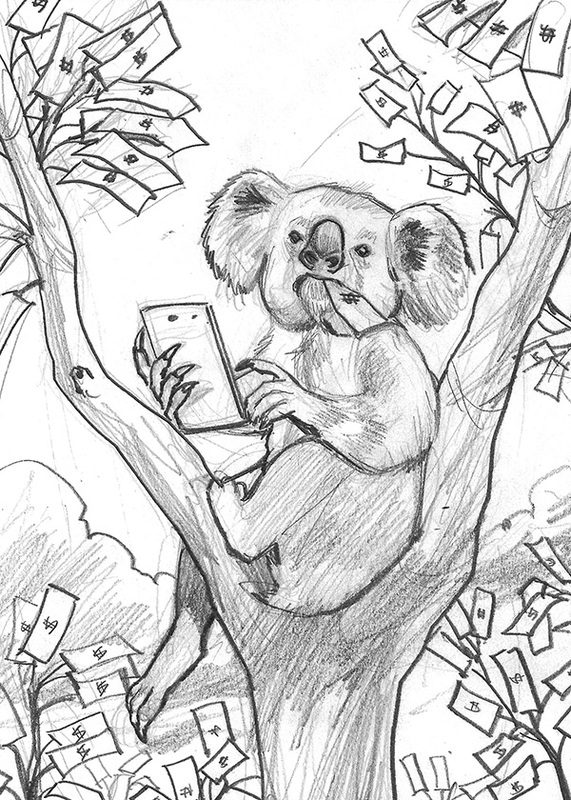 The funder examines records for Australia’s value-added tax and other financials, and it likes to connect with the merchant’s bank account. Spotcap can usually gain access to the account information through cloud-based accounting systems and thus doesn’t require most companies to download a lot of financial documents, he noted. Despite the differences between the two countries, banking regulations bear similarities in Australia and the United States, sources said. In both nations the government tries harder to protect consumers than businesses because they assume business owners are more financially savvy. For consumers, regulators scrutinize length of term and pricing, sources said, and on the commercial side the government is concerned about money laundering and privacy. Regulation of commercial funding will probably intensify, however, to ward off predatory lending, Bertoli said. Government will consult with businesses before imposing rules, he said. A couple of alternative business funders aren’t transparent with their pricing and they charge several fees – that sort of behavior will encourage regulation, Allegos said. “I know they’re watching us – and watching us very closely,” he added. Hence the need, many in the industry would say, for more alternative funding options in Australia.